This is perhaps the only museum of its kind in the world. It focuses not merely on Cypriotic History or merely on the sea, but proactively tries to sow how the seas have shaped the land and its history. Over three stories and six levels, the museum outlines Cypriotic history, both land and marine, prehistoric and medieval. Exhibits include wares from the Bronze Age, naval vessels from the classical and Hellenistic periods – chief among them a life-size replica of Kyrenia II. Yet another level displays fossilised marine life as well as displays of current marine life such as shells, barnacles, corals, sea-urchins, starfish, crabs, lobsters, sponges, and sea fans. The museum has a good cafeteria, a gift shop, and amphitheater and a hall, frequently used for lectures, seminars and workshops. It’s larger and airier than its outside might suggest, and definitely much more fun than it sounds. You didn’t expect this place in Ayia Napa. High School and University Students: Individual 2.50 Euros. Elementary and Junior High School Students: Individual 1.50 Euros. 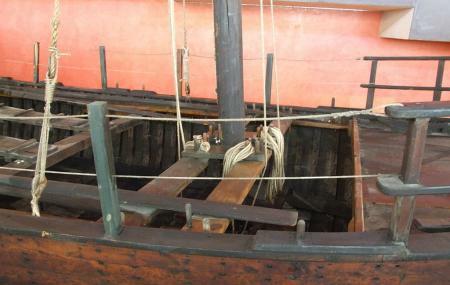 How popular is Thalassa Museum? People normally club together Liquid Cafe Bar and Harbour Beach while planning their visit to Thalassa Museum. Very beautiful place and has a lot to see there!!! Highly suggest! VERY interesting museum, if you are in Ayia Napa you should visit! Speaks about the whole history of the island , with artefacts from every period, and, the most impressive ship you will see!